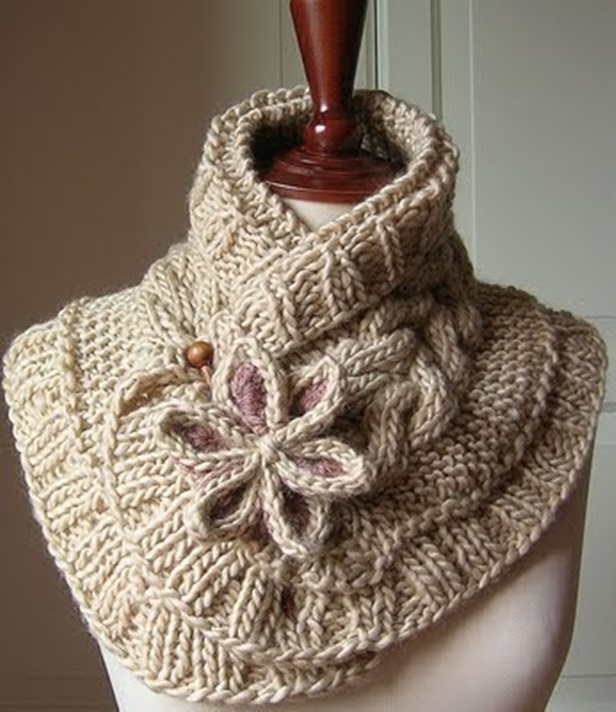 Here is a pretty cable knitted scarf with pretty moon flower for decoration. It will be a warm and cozy addition in cold weather. 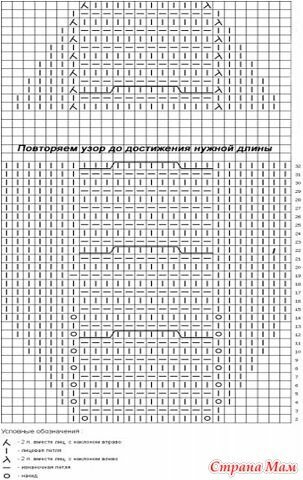 It was originally in Russian (Image), luckily ladylifehacks translated the knitting steps in details for us. We have a lot of crochet fashion projects with free patterns, you can check out the crochet and knit shawls, crochet rainbow cowls, crochet cardigan sweaters, knit cowl vest, which are all best crochet crafts to do for the coming cold days. I love the knit 6-pedal flowers with different color as the petals. 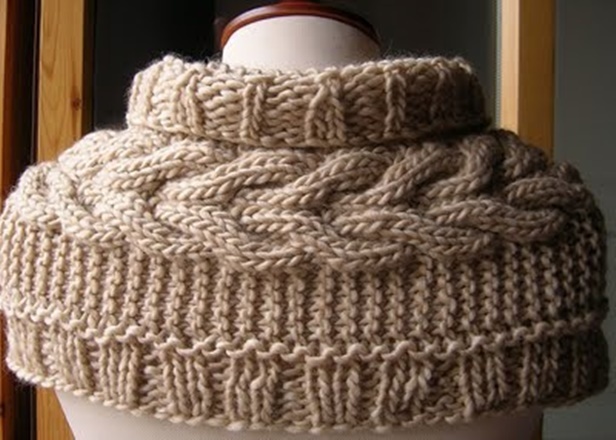 And the knit rib edging makes it more chic as collars to wear in formal occasions. If you ever knit before, you will love to try this plait cable knit pattern once you learn how to from the tutorial here, and knit with thin yarn for your outwear, gloves and more. Let’s look at the back, make the edging with more stitches so you can fold the upper part outside. Just too fabulous to wear over a dress, or a low neck sweater. 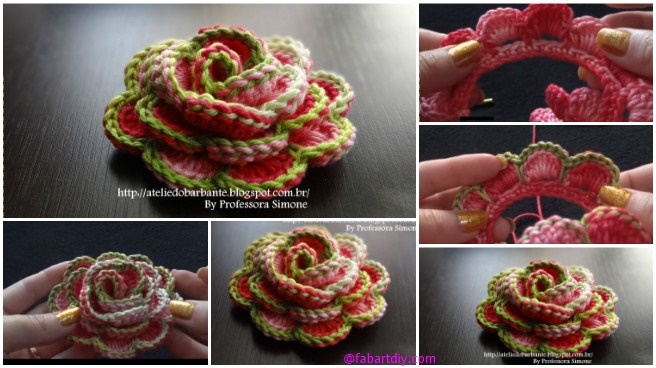 There is no flower pattern available, but the crochet flower here and crochet 3D rose flower here can be great embellishment. 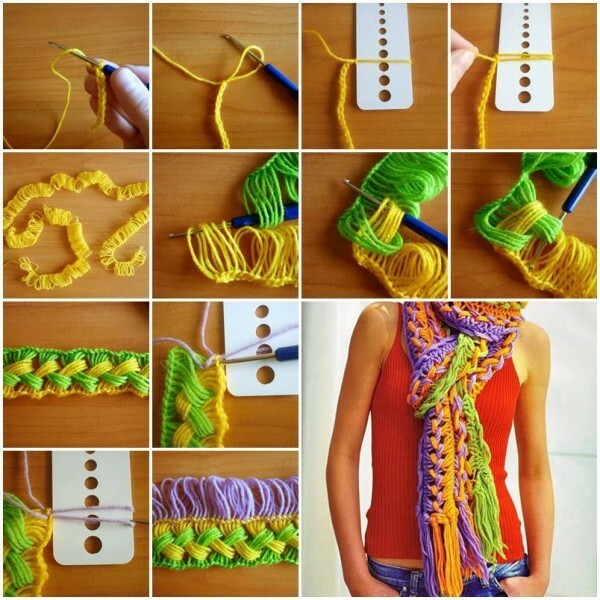 If you want to challenge yourself, you can check out the description via the link: A Beautiful Knit Scarf.